The British line in Palestine is pushed forward another three miles. Birch, nine miles north of Jerusalem on the Shechem Road and several places east of the road are captured. The hired trawler Sapper (Skipper Charles Thomson RNR) disappears off the Owers Light Vessel with 19 on board. Her skipper is lost at age 24. Some cotton waste, which has been stored in a wooden cupboard in the magazine of H.M. Motor Launch No. 289, catches fire from an unknown cause. When the fire is discovered as a result of the smell of burning and by the smoke rising from the Magazine hatch, when it is opened, Deckhand John George Stanners Royal Naval Reserve, without hesitation, goes down into the magazine and brings up a quantity of the burning waste. Leading Deckhand Ruper Walter Bugg Royal Naval Reserve, who is in Motor Launch No. 285 alongside No. 289, smells something burning, and on observing Deckhand Stanners coming up from the Magazine with burning material, immediately goes down and extinguishes the remainder of the ignited cotton waste. The prompt of action and the courage shown by these men in the face of very grave danger averts a serious fire, and in all probability-saved both Motor Launches and the lives of those on board. Both men will be decorated with the Albert Medal. Captain William Victor Edwards (Dublin Fusiliers) is killed in Palestine at age 30. He is an Irish International Rugby player, the Irish 200 yard swimming champion and water polo champion. He is also believed to be the first man to swim the Belfast Lough. Captain Christopher Russell Farmar-Cotgrave (Worcestershire Regiment) is accidentally killed in Winnezelle along with four others. His brother was killed in action seven weeks earlier. Lieutenant William Reginald Karslake (Pembroke Yeomanry) dies at home at age 50. He is the son of the Reverend W H Karslake. 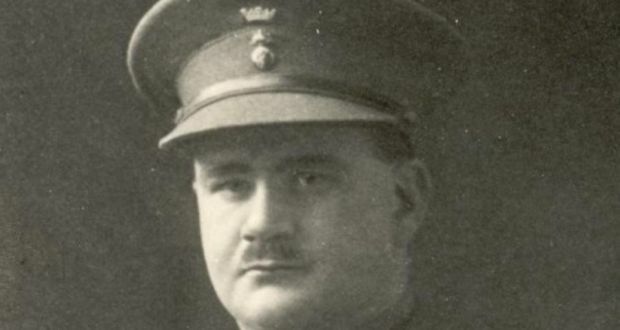 Sergeant Richard R Parry MM (Welsh Fusiliers) dies of wounds in Palestine at age 25. His brother died of wounds in September 1915. Company Sergeant Major James Catto (Seaforth Highlandrers attached King’s African Rifles) is killed at age 28. He is the last of four brothers who will be killed in the war. Rifleman Leonard Reeve Beechey (London Regiment) dies of wounds. He is the last of five sons of the Reverend Prince William Beechey who will lose their lives in the Great War. Private David Allan Kininmont (Auckland Regiment) is killed at age 26. His brother was killed less than three months ago.